From the moment I moved here, my heart has belonged to this city. I absolutely love living in Chicago. It only seemed fair that I would show it off. 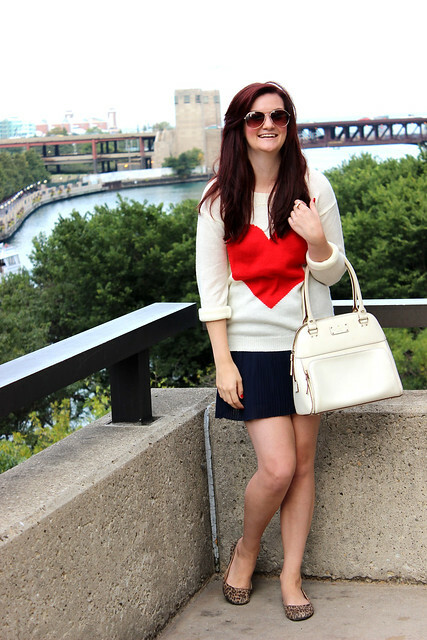 I love this heart sweater from Tobi. I get the feeling it will make a constant appearance this fall and winter.